An incredible true story 66 million years in the making, Dinosaur 13 “is a tale of plucky, underdog success, ‘the stuff that dreams are made of,’” (McClatchy-Tribune News Service) and arrives on Blu-ray™ (plus Digital HD) and DVD (plus Digital) January 6th from Lionsgate Home Entertainment. The documentary is currently available on Digital HD and On Demand. 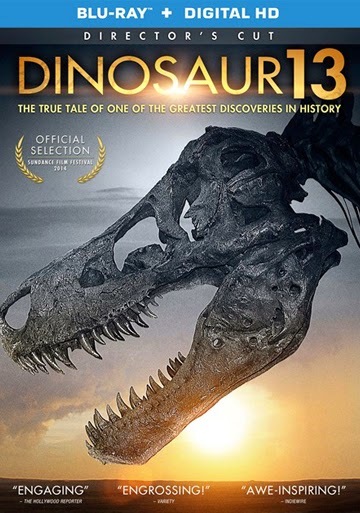 The Dinosaur 13 Blu-ray and DVD will feature a new director’s cut of the film along with bonus material that includes deleted scenes plus numerous featurettes that provide more insight into the restoration and research completed on SUE along with a prior Larson excavation. The “awe-inspiring” (Variety) documentary will be available on Blu-ray and DVD. 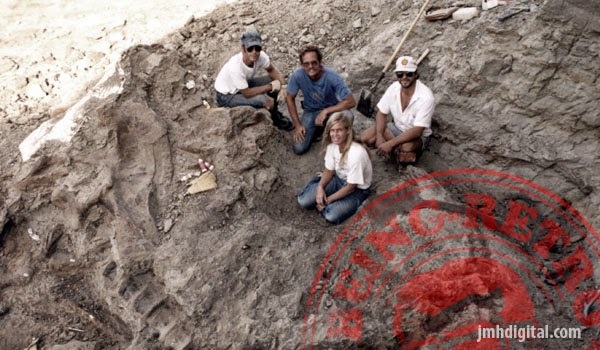 When renowned paleontologist Peter Larson and his team from the Black Hills Institute made the world’s greatest dinosaur discovery in 1990, they knew it was the find of a lifetime: the largest, most complete Tyrannosaurus Rex ever found. But during a 10-year battle with the U.S. government, powerful museums, Native American tribes and competing paleontologists, they found themselves not only fighting to keep their dinosaur, but fighting for their freedom as well. It's a true adventure many millions of years in the making, it's a great telling of a prehistoric journey.